We are capable of meeting the bulk as well as urgent requirements for Quad Seal Bags. We are the known Supplier of Quad Seal Bags. Quad sealed gusseted bags are used to package those heavier in weight products as the sealing of all four sides of the pouch ensures extra strength. 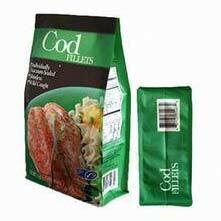 Quad sealed bags are produced with metalized or aluminium lining which enhances the shelf life of goods. We make use of the rotogravure technique, so we are able to produce custom printed bags with the use of up to nine different colors. Chocolate nuts and much more.